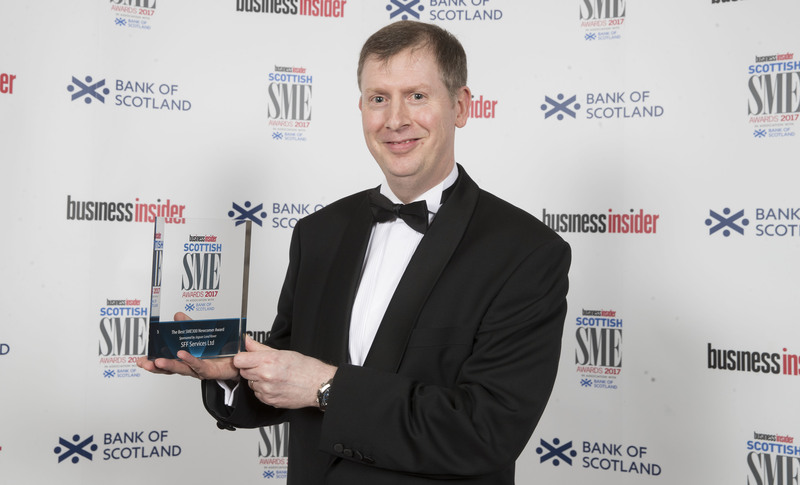 SFF Services Ltd (SFFSL) scooped a prestigious Scottish Business Insider & Bank of Scotland Scottish SME Award last night (22 February) in recognition of its strong operational performance. SFFSL came top in the SME300 Best Newcomer Award category at a glittering event held at the Glasgow Hilton Hotel. The Scottish Business Insider & Bank of Scotland Scottish SME Awards 2017 celebrate the successes of Scotland’s best performing small to medium sized companies with turnover between £8m and £20m. Only the 300 companies listed in Insider’s SME300 ranking published in September 2016 are eligible for the awards. SFFSL was established by the Scottish Fishermen’s Federation in 1986 and provides offshore marine industries with a range of support services.